“Teen Wolf” sends the fur flying one last time with Sunday’s series finale, and star Tyler Posey admits to getting emotional about the end of the MTV show’s run — even if he didn’t always want his co-stars to know about it. 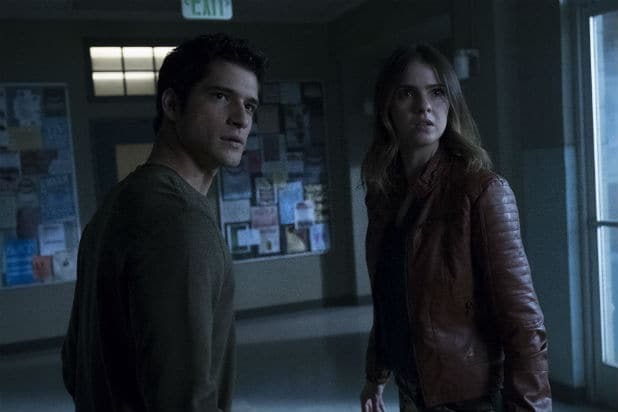 Posey, who has played alpha Scott McCall for six seasons, told TheWrap that he felt it was his duty to give a few heartfelt speeches to his cast in the final days of filming. The actor revealed that he actually had a hand in writing the first sequence of the finale, as it was an idea he had pitched a while back to series creator Jeff Davis. As for recent comments from MTV brass about a possible reboot, Posey said he is “absolutely” open to returning as Scott. “Teen Wolf” airs its series finale Sunday at 8/7c on MTV.